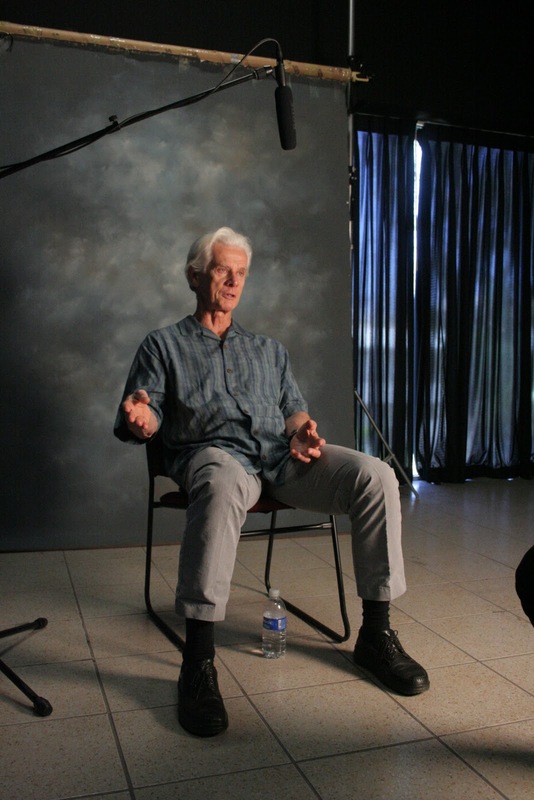 Bill Nichols is one of the most influential historians and theorists of documentary film. He is widely cited in articles across the world. Some of his most important works are: Ideology and the image: social representation in the cinema and other media (Bloomington Indiana University Press, 1981), Representing Reality: Issues and Concepts in Documentary (Indiana University Press, 1991), Blurred Boundaries (Indiana University Press, 1994) and Introduction to Documentary (Indiana University Press, 2001). He teaches film at San Francisco State University. 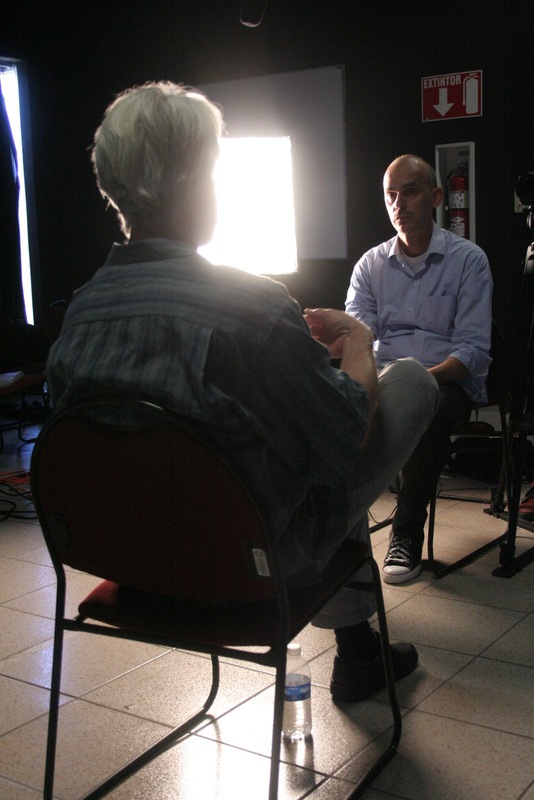 His enthusiasm for documentary film comes through even in casual conversations and especially during this interview in Tijuana, in the first week of BorDocs, the documentary film forum. A few minutes before the interview, Mr. Nichols had given a two-hour master class on the ethical challenges of documentary filmmakers. Tomas Crowder-Tarraborreli (TCT): I was reading in your biography that you studied medicine and then chemistry. There is something in your bio that says, “but then I changed my mind.” Can you tell me when, if there is a when, you became interested in documentary film? Bill Nichols (BN): It began when I was in medical school. I was at Stanford Univeristy back then. There was the medical study, but the program gave you some free time. Really, in medicine nothing is free time, but relatively speaking. It was in the 60’s and there were these European films coming out that were really fascinating: Bergman, Antonioni, Fellini, Godard, and Truffaut. So I saw some of that work and I thought this is not like anything I’ve ever seen before, from growing up watching Hollywood films. It really started my interest and then that percolated slowly for a few years. I decided that I didn’t want to be a doctor, but I wasn’t sure what I did want to be. So I went into the Peace Corps and taught in a school in Kenya for 2 years. I saw about six films in those two years, but I began trying my hand at screenplay writing. So that added to my interest because it didn’t lead to selling anything, but it gave me more of a sense of how films work and that led to going to UCLA and studying film there. TCT: And in terms of documentary films? BN: Documentary was similar to discovering the European film, in that it wasn’t Hollywood. I had no complaint with Hollywood, it’s just that it’s what I was used to, so European film was like, “oh my goodness.” And the documentaries in the 60’s, that were about political issues, about Vietnam, about the draft, about liberation struggles, about Cuba, where also like, “oh my God, I didn’t know film could do this,” because I’d never seen anything like it before. I was interested and involved in the politics of the 60’s and 70’s, so it seemed almost natural to begin thinking about documentary, partly because no one was. 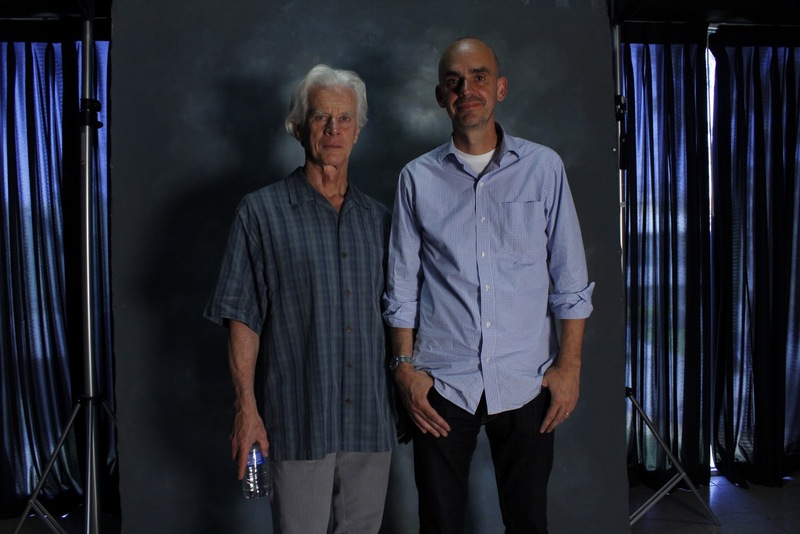 TCT: Do you still feel that you are scientifically minded in your approach to your study of documentary film? Do you think that’s a side that you like to explore and talk about, or is it a side that has been left behind by your recent work? BN: I think we’re always, in some sense, a product of our training; What our parents trained us to do or not to do, and likewise of education. I don’t have any interest in the scientific parts about film, like number of pixels or DI processes and how to develop film with this chemical. I’ve left that behind. But I think the way you think in scientific or medical terms – of formulating hypotheses, trying to be logical – not necessarily in how I write about something, which is like a documentary in that I may want to engage and move the reader so I use descriptive language and I’m not being factual, but that underneath it I think there is a training in thinking carefully and analytically that has helped me. TCT: I think a lot of people are curious about your relationship to Latin American documentary film. Can you talk briefly about your relationship to this tradition, if you have one? Do you keep in touch with film directors? Have you seen something particularly moving, formally, that is in your mind when you think about this tradition? BN: It’s true for fiction as well, that my interests don’t go first to geography so I don’t follow, as a principle, Romanian film or Korean fiction film or Bolivian documentary, but what gets my attention usually are particular works and sometimes retrospectives or filmmaker’s work that gets me more interested in that context. Like Iranian films, when I first saw an Iranian feature film it led me to write about that. Not just as about “here’s some new films,” but how films from one country migrate into the international film festival circuit and how did that happen and why did that happen with Iranian, but not with Bulgarian, or some other nation. I think with documentaries from Europe or Africa or South America or Canada or Asia, the place of origin hasn’t been as important to me as the work itself. And that there have been, as there are with the other regions, Latin American filmmakers that have been of considerable interest: Solanas and Getino some time ago. Patricio Guzmán, more recently, with his films on Chile. I think those, to me, have been very important and very impressive; Eduardo Coutinho in Brazil. I’m an admirer of the work I’ve seen of his. I think there are a number of filmmakers from different places and that is part of what I like about documentary is that I get to learn about places I haven’t been, or don’t know as much as I could, from the films and when they were made… It’s all the better. TCT: So you don’t think there is “something” that makes a national film tradition unique? BN: Well, it’s just how I’ve looked at them and particularly more recent work, I think there are schools and traditions. [Alberto] Cavalcanti was very important in forming British and Brazilian film. I think when you look at the beginnings of documentary you can’t ignore the Soviet work of [Dziga] Vertov, the British work under [John] Grierson, the American work with [Pare] Lorentz and others before him and after, and the Canadian Film Board, and that they have certain qualities that are related to the place of origin and I think that’s often true. Mexican documentaries may differ from Chilean or Argentine in ways you could identify. It’s not something I feel is my strength in perusing that particular question. I hope there are people from or engaged with those particular nationals cinemas that would. I know for example Tom Waugh, in Canada follows Indian documentary and writes about it from time to time. TCT: Can you tell me what your impressions of BorDocs are so far and your experience of being here at the border? Do you think festivals similar to this play an important role in places like a border region? BN: Oh yes, festivals have grown. They are almost like weeds. In San Francisco, California there is some kind of festival every week. They are not all film, but they are probably 30 film festivals throughout the year, from gay and lesbian, to Native American, to international, to heaven only even knows…there are so many. I think they are a way of keeping a sense of curiosity and contemporaneousness about the medium. Given the way distribution works it is very hard to see the kind of films that get into festivals outside of the festival. The bad part is that there are a lot of films that never live apart from their life in the festival. The good part is if you get to the festivals you will see a range films that you probably would not to see on television and in theaters, at least not as quickly and as richly. I think with documentary, like animation and avant-garde, there are fewer festivals for those than for fiction film festivals and the audience is smaller and it is probably harder to get an audience. The one in Amsterdam, the International Documentary Film [Festival], is the exception probably because it has a big market and people come to trade and buy and sell. There are hundreds and hundreds of films there, sort of like the Cannes of documentary. But most festivals are more to the festive and celebrate the films and not be a market as such, though there is nothing wrong with that, it is just more work and effort to get started that way. So I think somewhere like Tijuana or up north in Mendocino, California, which is a little tiny coastal town, festivals are a way of bringing people together, they are a way of developing greater interest in documentary, they are a way of building a community and getting filmmakers and filmmakers together and people who share this interest together and from those things, those interactions, you never know what will happen and hopefully some good things will happen. TCT: What do you think has happened with documentary film in the United States in the post-September 11th world? Have you seen a change in the tone, the methodological approaches, formal innovations, political views, or ethics? BN: It’s a good question. I’ll think about that more, because often I need to pause and step back and think things like you just asked. They are not on the tip of my tongue. Some things that strike me are that there is an increased reliance on and creative use of animation. Not just in the US, like the Green Revolution I was mentioning, Waltz With Bashir and films from the US where it’s part, not as big a part, but a part of the film. For people who get public funding from the government or state of federal government there’s a greater degree of, you could call it either sensitivity or fear, that they may jeopardize their funding if they say or do anything that’s critical of the right wing, the Republicans, because the Republicans have gone after people. They tried to get someone fired at Public Broadcasting System. I think they did resign, in fact, because that person had said something about how hard it was to get the Republicans to fund Public Broadcasting and [the Republicans] didn’t think that was very respectful. There is a new documentary I’m consulting on where they were mentioning American film and it was mentioned how Pare Lorentz’s films in the 30’s lost their funding from the government. And I asked them as consultant, I said, “Wouldn’t it be useful to say who in the government didn’t want money spent on this kind of movie?” And they said, “We can’t do that because it was the Republicans at that time who opposed it and stopped it and that will jeopardize our funding.” I think they could have found a way to do it that would have made the Republicans happy, to say, “We don’t want to support these liberal causes with tax payer money,” and I don’t think that republicans now would object to a statement like that. And I’m sure someone said that back then, if they looked and did more research. And other could think about when governments support filmmaking. It’s a really big question, but my point is that there is an increased sensitivity to enflaming the right wing. Except for the people that want to do that, like Michael Moore and other political filmmakers who want to take on big issues. There are certainly films since 9/11 that have explored the consequences of that and the government’s responses with the Iraq war. Why We Fight, about the military in general. The financial crisis has led to others, some of which are really good. Going back to Enron:The Smartest Guys in the Room, but then The Inside Job, Client Nine: The Rise and Fall of Eliot Spitzer, which was partly about the financial business. And some of the other things that were pre-9/11 continue, maybe with a little less emphasis in the past, but things that relate to politics of identity, women’s films, gay and lesbian films, minority groups, Native American, the poor, disadvantaged, African Americans, films that address questions that are particular to those groups continues to come out and some are quite good. TCT: What about for students who do not want to be filmmakers, who just take one of your courses because they saw a documentary film? What can they learn from that process of representing human beings as normal, regular people? Is there something that you think about when you’re teaching a course? BN: I think on the one hand it’s an element of visual literacy. That people that haven’t had a course may not have thought as much about question like truth. Is what I see on the news true? How is it not true? Or in what way is it shaped? And then things that you become aware of when you’re looking at films in a course, like music. You mean they actually put music in that wasn’t there, is that okay? You start to think about those things more and become more aware and sensitive. That equips the student to look a little more critically at representations of the world, which can be other documentaries later after the course: news, reporting; claims by politicians, scientists, anybody that’s dealing with reality. Similarly, for students who do the documentary course, another thing it does is give them a sense of perspective. Most students come because they have seen a recent film that was impressive. It could be March of the Penguins or Chile, Obstinate Memory. But they don’t know what the history of this idea is and it’s often eye opening to see that a lot of experimentation was happening in the 20’s and 30’s and that there’s debates that go way back about how much do you actively alter what you film and set it up and stage it. Like Triumph of the Will, which appears to be just a document of what happened at a rally for the Nazi Party, until you realize that the filmmaker worked with the Nazi Party leaders to build the arena, to set up the tracking shots, to place the cameras, to the have the speeches given at times of day with good lighting, etc. So that the whole thing is actually closer to a modern political convention, at least in the US, where almost everything is planned and orchestrated, nothing is a surprise, because it’s all been done for the camera. And when you see where this kind of idea comes from you get an idea of a broader perspective of how you look at it. TCT: You’ve written extensively about discursive categories, narrative exposition, poetics, especially in Ideology and the Image. In the so-called digital age do you think that in your work, that type of close analysis of the film and material, has changed because of the arrival of digital imaging and editing? Do you think that film seems to be loosing its materiality? BN: Well in the sense that to use the word film is usually misleading now because almost all films are at least in some way digital, if not completely. But we often still call them film. We don’t call it “digits,” or something. But film is a loose term that doesn’t necessarily refer to strips of film anymore. What I think continues is that what makes for a good film is a good story, or a good poetic sense, or a good rhetorical perspective. And those qualities go back at least to the Greeks. They are millennia old. It’s like situational ethics. No one has a formula for how to make a good story that everyone can just take. Otherwise we’d all be Steven Spielberg’s or Errol Morris’s. So what we learn are some basic principles and concepts about what a story is and what makes it work. About what is good rhetoric or oration and what makes it work. How you move people to agree with your point of view. What makes for good poetics and work that has form and shape that people can appreciate. But then it’s up to the individual to do it, and the means by which they do it constantly change. What was available to the early filmmaker, and how they developed film and what stocks and what speeds the film had, were totally different from what it was in the 60s, which seem like a whole other world of possibilities. And jump up another fifty years to now and we have cell phone that make movies. I’ve seen one in Korea made on a cell phone and it’s quite impressive. So I think in looking at a film that’s been made by newer means, some of the close analysis can still pay off. Although it will be in relation to a new media and looking at how they create a rhythm, how they use editing, or how they use sound. That will still be true. But whether its frames that are cut together in the same way, that’s changing. And I think that the even more fundamental questions, that are like the ethical ones: how do you tell a story, how do you move people and persuade them, how do you create form, and how do you live ethically. They don’t change in terms of what basically works now probably worked five centuries ago. But nuance changes and particulars change and we want stories that resonate with issues that are real for us, that we feel are part of our experience. Questions about gender, for example. In a world where what it means to be a man or what it means to be a woman has become very complicated in the last thirty years, with transsexuality, with gay and lesbian rights and identities, bisexuality, etc. All those things make it much less obvious what that is. So films that deal with that, fiction or nonfiction, are probably going to speak to a question that is real for many people. Whereas how do you maintain a castle is interesting, but that’s a medieval question. How do you live as a peasant in relation to a lord in a castle? We have modern versions of it but those are the ones that will probably get more interest than the old fashioned ones. TCT: You don’t strike me as being a nostalgic person, but most people who love film are pretty nostalgic. Do you have any nostalgia for the experience of watching films in the theater from when you were a kid or a teenager? BN: Yes, some. I’m not nostalgic. I have colleagues who have fought, at every step, changes in technology. When we had video they said, “No, we have to use film.” When we were using digital video then they were saying, “No, we have to use video.” And then when it was online and streaming they said, “No, we have to use it on a DVD.” So I have colleagues that are always one or two or three or five steps behind the technology and I think that’s stupid. Students need to use what’s available, what’s the most efficient what is often the most inexpensive and each will have limitations and problems, but that’s life; it also has advantages. The web has huge advantages, as well as problems. Where I do get nostalgia – as I was saying earlier about how we live our training – I grew up going to movie theaters and I remember being about eleven and going around to where there were workers building houses and collecting empty beer bottles because I could get 5 cents for each bottle and if I got 10 bottles and 50 cents I could pay for a round trip train to the next town and a movie ticket. So I could go to Amnyville and see a movie and come home for 10 beer bottles. And it was in a theater and that was an adventure and something I worked to do and got some money for and took the train and went to the theater. So it is totally different from turning on the TV with a remote control, because you don’t even get up. To this day, when I go to a movie theater to see a movie, it’s like going to a play or a concert, there’s a little feeling of a thrill. I’m going to see people I’m going to be doing something with others, it’s going to be on the big screen and that’s going to be kind of exciting. And then in ten minutes I may be very disappointed and think about leaving (laughs), but I don’t get that little thrill when I go home and watch a DVD or television. I may find it a great movie but that’s another story, that’s where the nostalgia comes in for me. TCT: Thank you, Mr. Nichols.